Hakuna Matata - you got this! 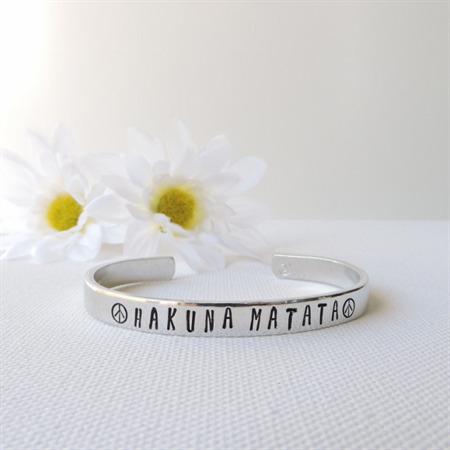 The bangle reads "HAKUNA MATATA" - it means no worries (you're singing it now aren't you!!) and will serve as a reminder not to stress so much and relax a little. 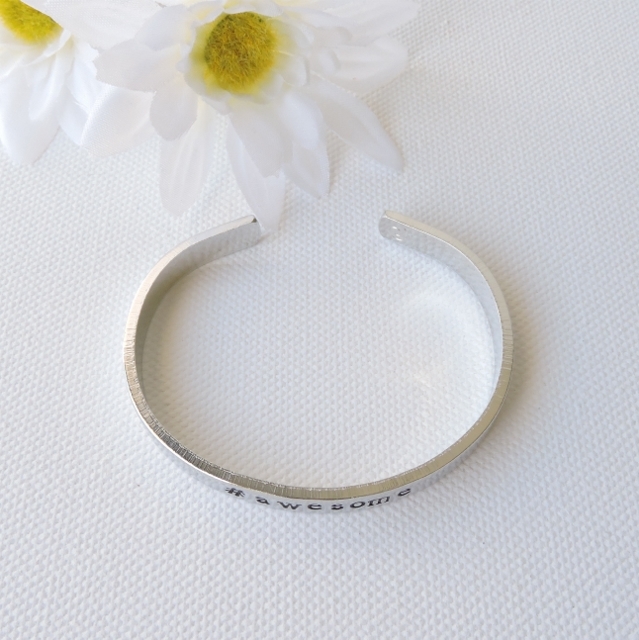 I have been inspired to create this range of jewellery with words and phrases that will truly resonate, or strike a chord, within you. This could be a secret message that inspires you, a phrase that brings a smile every time you think of it or simply a motivational word. 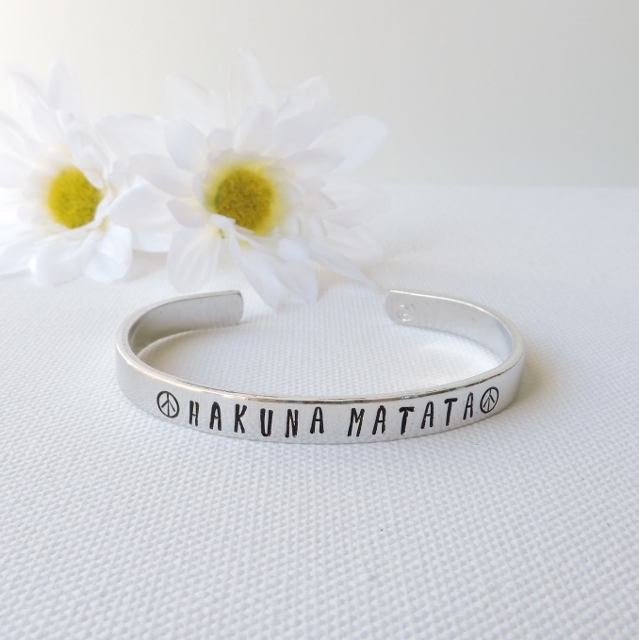 • Bangle reads - "hakuna matata"
• This bracelet cuff is 1/4" in width and 6" length. All of my treasures are designed, individually crafted, sanded and polished by me in my home studio. Be sure to visit my shop for gorgeous hand cast resin designs! • SHIPPING: I ship all items purchased on the same or next working day from receiving your payment. 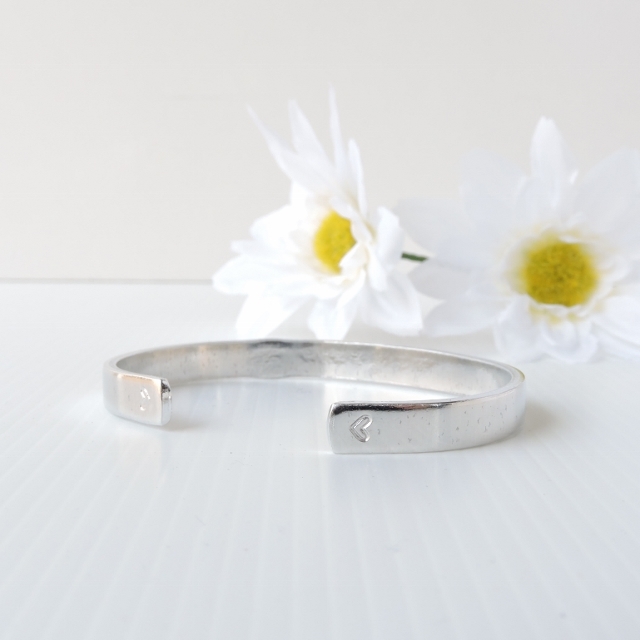 You will receive an email from me through Madeit confirming your purchase has been posted. 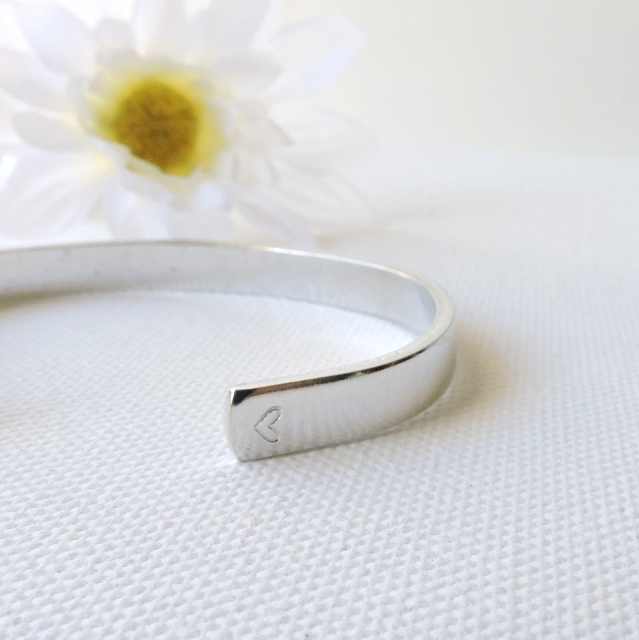 This bangle is ready to post and will arrive gift wrapped inside a protective mailing box.